Sure, bathroom plumbing is not the most glamorous subject to talk about—okay, it’s not at all glamorous. 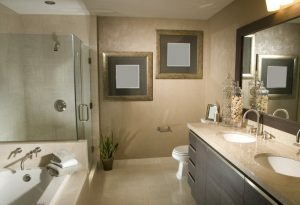 Still though, your bathrooms are the most used rooms in your home, which means your plumbing in these rooms requires some attention. There are a plethora of plumbing components within your bathroom—fixtures, pipes, your bathroom sink, your toilet, your bathtub, and your shower. Any or all of the following problems can impact these components, which we’ll go over, and talk about some ways to prevent issues.